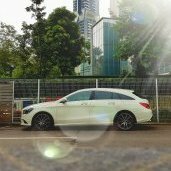 I am driving a Cla180 but I keep hearing a hissing sound from the aircon. When i travel at high speed, I can't really hear the sound. However when i am coming to a stop, the hissing sound gets loud and it's quite irritating. The aircon is still cold all the way which I find it weird. Sent down my car to a workshop also doesn't help. So i went to Tomika to get it fixed but they can't identify the problem and just changed a valve, vacuumed and change the compressor oil. After driving for 5 mins, it's back to normal again. Gas wasn't leaking according to them. Am very irritated with the sound and after spending money to get it fixed, it's still the same. Would like to ask if anyone faced this issue and get it solved? Thanks so much in advance! I suggest that u turn up the radio volume. Haha.. You are right, it's like water $ gas flow noise. It's so irritating. Now it is just getting worse with the hissing sound going on non-stop. Gosh..
Hi Noobie, opening up an old thread..have the same problem and read from overseas forum that its caused if the A/C air has insufficient return air into cabin due to clog up filter or other factors that minimize air circulation..the A/C tries to compensate by sucking in harder thus the whispering / hissing sound..
Wonder if any Bros manage to solve this issue? Im gona try to replace the filter. Do share your thought, Many thanks!